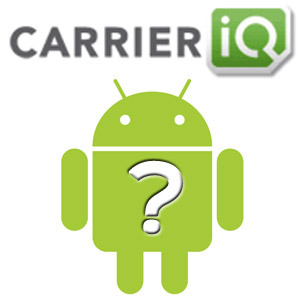 Earlier this week we wrote about the Carrier IQ ordeal, we should have know it was only a matter of time with all the media hype and internet buzz before this whole thing started getting out of hand. Senator Al Franken is demanding the company provide details about what data it collects and how it’s used and has given the company until December 14th to respond. Massachusetts congressman Edward Markey has asked the FTC to open an investigation into Carrier IQ. Markey wants the Federal Trade Commission to look into whether or not the rootkit and its creators have violated the privacy of millions of cellphone users and federal wiretap laws. Plaintiff, Erin Janek owns an HTC Android phone using the Sprint network. At all relevant times Plaintiff used her phone to electronically send over her cell phone network various types of private data. This data was not readily accessible to the general public. She did not know that Defendants were surreptitiously monitoring and collecting this data, nor did she give them permission to do so. So far none of the phone carriers have been included in this class action lawsuit but we have a feeling that may change of the course of the next few days. Sprint and AT&T have both admitted to using the application, and other carriers likely use similar services, but both carriers have denied taking advantage of the software’s ability to spy on customers. Stay tuned for more detail, we have a feeling things are going to get real interesting.